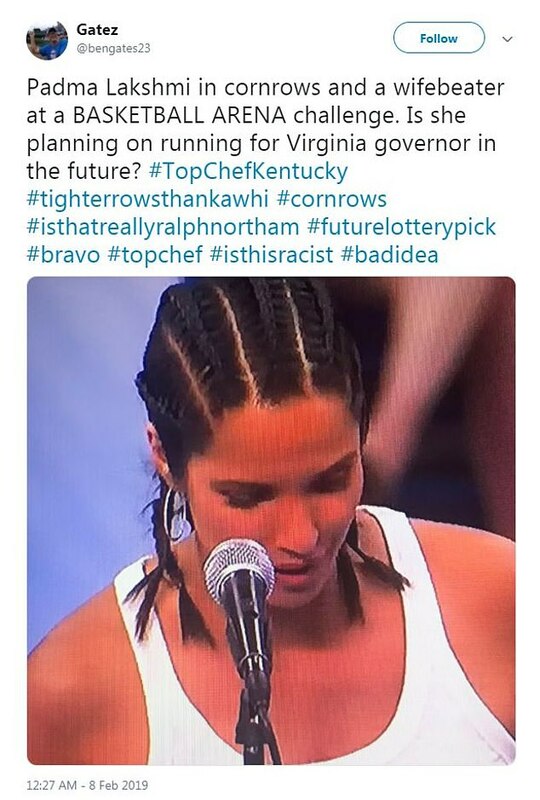 The Bravo host has been accused of cultural appropriation for wearing her hair in cornrows for the episode filmed at the University of Kentucky’s basketball arena in Lexington last June. She completed the look with a casual white tank top – colloquially known as a ‘wife beater’ – and silver hoop earrings. When the episode aired on Thursday night, a number of viewers took to social media to express concern over the hairstyle, which has been worn by black women for centuries. ‘Padma’s hairstylist must have a vendetta against her with theses struggle cornrows,’ one woman wrote on Twitter when the episode aired. 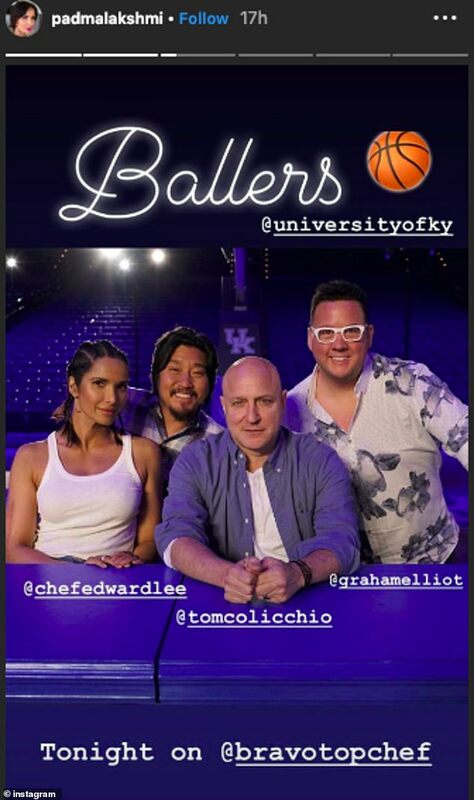 ‘Why did they make Padma get braids for an episode that references basketball? ?’ on Twitter user asked. 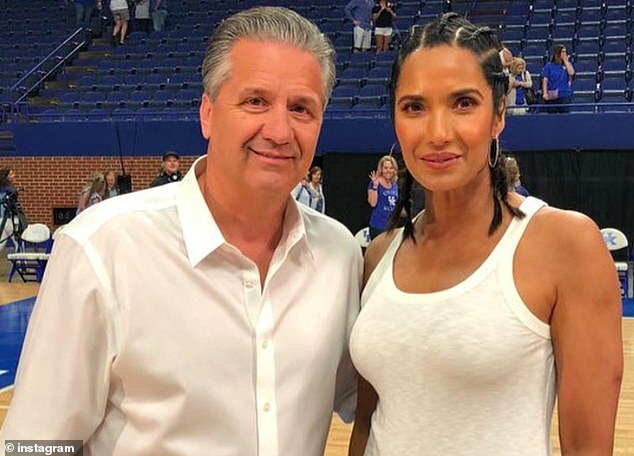 ‘I don’t know how I feel about Padma rolling into a basketball game with cornrows. I just… whatever,’ another wrote. Others pointed out the timeliness of the episode’s release given the nation’s current race debate over the use of blackface, sparked by a disturbing photo from Virginia Gov Ralph Northam’s medical school yearbook. 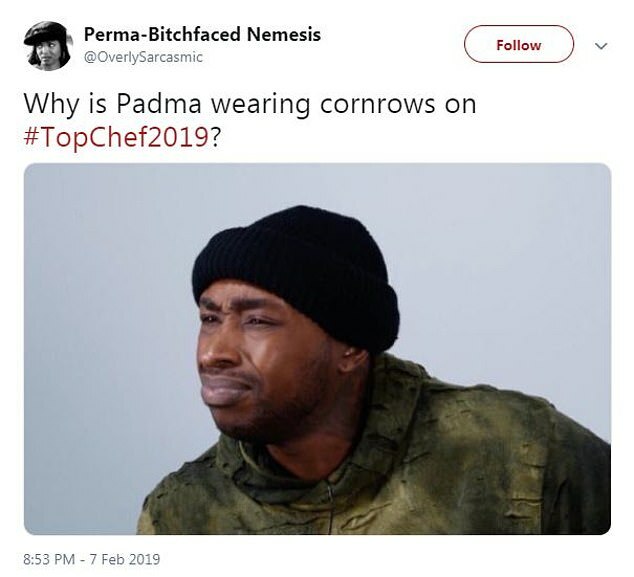 This isn’t the first time Lakshmi has worn her brunette tresses in cornrows – having done so for a previous episode of Top Chef that aired in February 2017. The Indian-born TV personality was criticized for the look on social media in that instance as well, but it appears she didn’t learn her lesson.